Looking for a House, Condo or Townhouse for sale in the Ambleside area of West Vancouver? 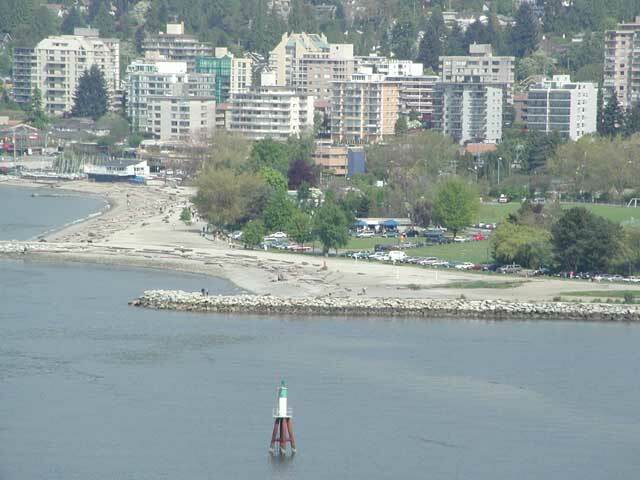 Ambleside in West Vancouver is a spectacular location for real estate in the Greater Vancouver area! The streets here are aligned along a grid and are named in alphabetical order from the waterfront and the streets are numbered from the Capilano River. The seawall promenade takes pedestrians from the Capilano River, past Park Royal Shopping Centre, to Ambleside Park and eventually to the pier at Dundarave Village. The waterfront setting of Ambleside has unparalleled views of Vancouver's harbour, Kitsilano, Point Grey, the Lion's Gate Bridge, and Stanley Park. Ambleside Village is one of West Vancouver's oldest neighbourhoods, beginning as an across-the-water seaside retreat for Vancouver residents. Since the construction of the Lions Gate Bridge, the area has grown tremendously. Today, the area has many of the best shops and restaurants in West Vancouver and the North Shore. Ambleside Village runs along Marine Drive from 13th Street west to about 20th Street. Ambleside is characterized by high density high-rise apartments along the waterfront which accounts for about two-thirds of the households. The balance is split between single-family homes and low-rise apartments/condos. About half the buildings were built before the 1970s, with 20% built in the 1970s and that many again in the 1980s, with about 10% of the residences built since 1990. Ambleside has recently become an area of luxury homes many of which boast incredible views of the harbour. Please contact us to search for real estate in Ambleside. Ambleside is a very pedestrian-friendly area. The seawall promenade runs from the Capilano River alongside the railway tracks past Ambleside Park, John Lawson Park (with the 17th Street pier) to the 25th Street pier at Dundarave. Ambleside Park has great shoreline pathway with views of Stanley Park, a pitch & putt golf course, a beach, an outdoor pool, several baseball diamonds, a skateboard park, sports and soccer fields, and tennis courts. There is a sailing club just west of 13th Street beside the park. There is also a community center with an ice arena and pool at 21st Street. Many small parks fill the neighbourhood streets. Skiing, mountain biking, and other recreational activities are accessed up the hill at Cypress Bowl Provincial Park. Ambleside Village shopping area is considered West Vancouver's town centre. Colourful planters and iron cast lamps decorated with hanging flower baskets mark the retail stretches of Marine Drive in both Amleside and Dundarave. Bellevue Avenue, just south of Marine Drive also has fashionable shops, and trendy restaurants and cafes. Park Royal Shopping Centre is the area's major shopping spot. There is a public library in Ambleside. Many restaurants are located along the beachfront with spectacular views of Vancouver and the ocean. Ambleside Park hosts many annual festivals including Community Day, the Harmony Arts Festival, and other seasonal events. The West Vancouver Community Center, with a pool and ice rink, is at 21st and Marine Drive. This neighbourhood is served by Hollyburn Elementary, Ridgeview Elementary, Pauline Johnson Elementary (with a French Immersion program) and West Vancouver Secondary School. There are also two private schools in West Vancouver: Collingwood and Mulgrave. Ambleside is right next to the Lions Gate Bridge and so travel into downtown Vancouver takes just minutes! Regular public transit services all regions of Ambleside.